TrashFest 2009 was once again, awesome. It’s unbelievable how many shoes, cans, other trash, etc people leave behind on purpose or by accident. 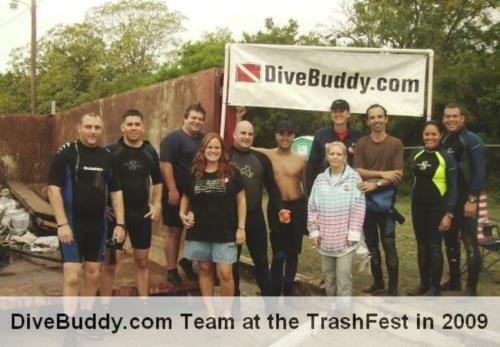 DiveBuddy.com promotes the TrashFest pretty heavily each year and we’re proud to have won 1st Place in the Aggregate Weight category with 2002 lbs., that represents over 40% of the overall weight this year! GO DIVEBUDDY!!! 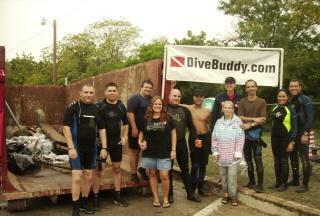 We had a great group of DiveBuddy members join Becky and I. We thank ALL of you who came out to join our team but also to help make the Comal River a nicer place! 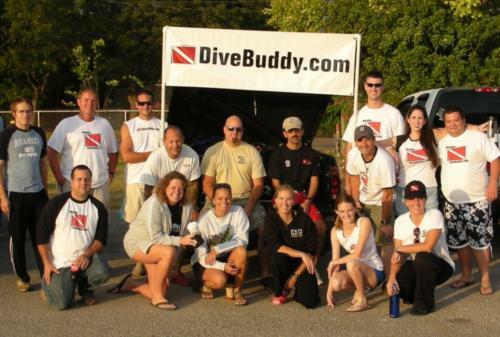 And a big thanks goes to “Duggan Diving” (duggandiving.com) who donated 18 tanks for the DiveBuddy.com teams as they did last year. Trashfest 2010 will be here before you know it! We’d love to have all of the support that we can again so make sure to try to join us! We will continue to do our part to make the river cleaner and safer. Good job!!! Keep up the hard work!